Let’s have a look at the details of SSC MTS Exam that a candidate must be acquainted with before applying for SSC MTS 2019. SSC MTPS 2019 Online Application process has started on 22nd April 2019. The last date to apply online for SSC MTS 2019 is 29th May 2019. The total number of vacancies for SSC MTS 2019 exam has not been released with its official notification. SSC MTS 2019 Vacancy will be updated here once it has been published by SSC. As per SSC MTS Notification 2017, a total of 10674 vacancies were declared to be filled through SSC MTS Exam. The vacancy is expected to be more or less same as compared to last year. Candidates belonging to SC/ST/PWD/Ex-servicemen category are exempted from paying the application fee. In addition to this, female candidates are also exempted from paying the application fee for SSC MTS 2019 exam. The Staff Selection Commission will hold a competitive examination for recruitment of Multi Tasking Staff in Pay Band-1 (Rs 5200-20200) + Grade Pay Rs 1800, (Revised Pay Scale after 7th CPC: Pay Level in Pay Matrix – Level-1), a General Central Service Group „C‟ Non-Gazetted, Non-Ministerial post in various Ministries/ Departments/ Offices of the Government of India, in different States/ Union Territories. The examination of SSC MTS 2019 will be conducted in 3 different levels: Paer-1, Paper-2 (Descriptive Test) & Paper-3 (Skill Test). Paper-1 is an online exam which is objective multiple choice question type. Paper-2 is a pen and paper mode of examination which includes a descriptive paper in English or any other language listed in the government policies. Paper-III is a skill test that needs to be taken as per candidate's convenience. 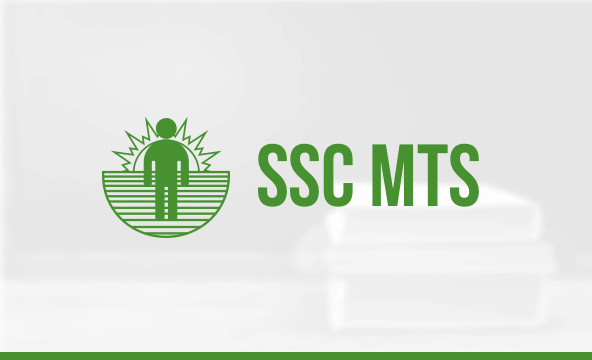 The syllabus for SSC MTS is different for both the stages of examination and it’s mandatory for students to know the entire syllabus in order to prepare effectively for SSC MTS 2019. Apart from the pre mentioned Age Requirement, candidates belonging to reserved categories are given age relaxation as per Government Rules. Ex-Servicemen (ESM) 03 years after deduction of the military service rendered from the actual age as on closing date of receipt of online application. Educational Qualification: A candidate is required to pass Matriculation or its equivalent Exam from a recognized State Board or University or Institute. SSC conducts SSC MTS Exam every year at various centres all across the country.Candidates are given the option to select the centre of their choice while filling in the application form. The final allotment of the centre by SSC is done based on the choice of the candidate. If in any case there is unavailability of seat in the selected Centre, SSC will change the location as per the availability. Candidates do not hold the authority to question SSC for the same. SSC (Staff Selection Commission) will be releasing the Admit Card for the SSC MTS (Non Technical) Exam 2019 Paper-1 soon. Candidates are required to download the Admit Card through the link mentioned below. Keeping in mind the SSC MTS 2019 exams, we are launching various Test Series, Classroom Programs and Seminars to guide you through your preparations.